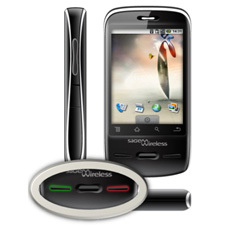 Sagem Wireless announced the commercial launch of COSY Phone, its new NFC-enabled mobile device. According to Sagem, the COSY Phone features NFC technology coupled with an easy-to-navigate user interface to create a connected device for markets underserved by traditional mobile phones, particularly seniors. The new phone uses pre-programmed tags that allow users to initiate calls or texts, open applications, and received content by simply waving their device over an NFC tag. According to Sagem, the tags can be easily customized to perform a particular action, and can also be used in commercial applications for access and data capture. The COSY Phone’s design features raised and enlarged keys for easy typing, micro vibration feedback to confirm the input of each entry, high contrast legible fonts and an innovative recharger cradle. Available in both 2G/EDGE and 3G/HSPA, the COSY Phone provides an opportunity for developers to create new applications that take advantage of NFC connectivity. In a work context NFC provides an easy, intuitive and reliable communications channel for time and location reporting, inventory management and access. The COSY Phone is the only NFC device currently available that is targeted at these markets, says Sagem. The COSY Phone is now available in France through select operators and mobile retailers, and will hit the UK and Ireland later this month.